Looking for quality tile installers for a custom tile job in Bentonville, Rogers or really anywhere in Northwest Arkansas? Join the club! Quality tile professionals are in high demand these days. Nothing says luxurious quite like custom tile in your home or office. In fact, custom tiling in your home or business can take an average room and take it to the next level. The days of plain, white tile have given way to the beautiful multi color tiles and ingenious designs of today. You can mix and match patterns, textures, colors and sizes all in the same room. 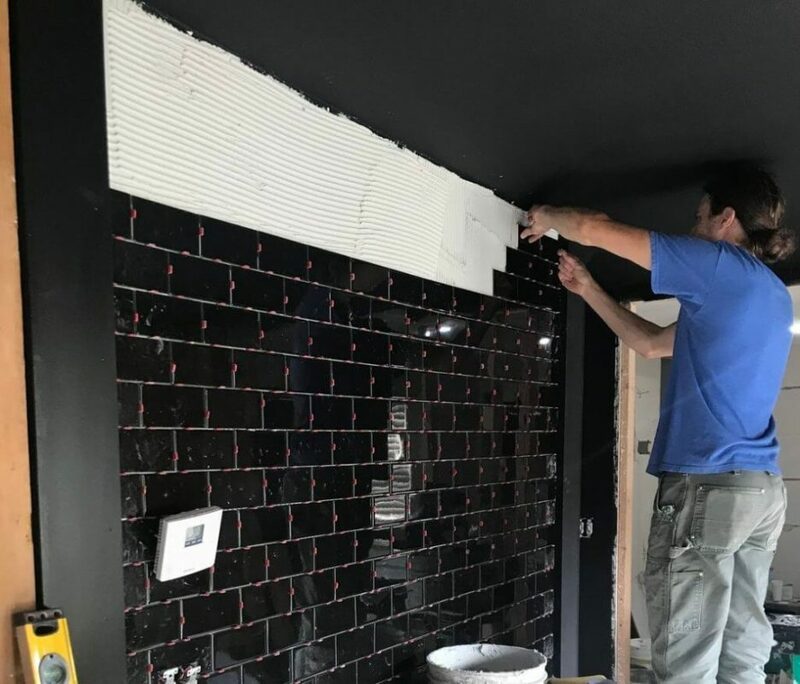 Ceramic tile installation can be as unique as you want it to be, and is often the preferred floor, wall and back splash covering used in both new and remodeled homes in Northwest Arkansas (NWA). The designs come from natural stone such as Porcelain, Travertine, Slate, Granite, Onyx, Pebbles and Stone. While installing ceramic tile looks easy, removing or trying to correct a bad tile job is hard and quite expensive. This is one home improvement job that is best left to professionals. Have a question about tile installation in Northwest Arkansas? Ask our local expert, Bentonville Custom Tile. This blog post is sponsored by Bentonville Custom Tile. 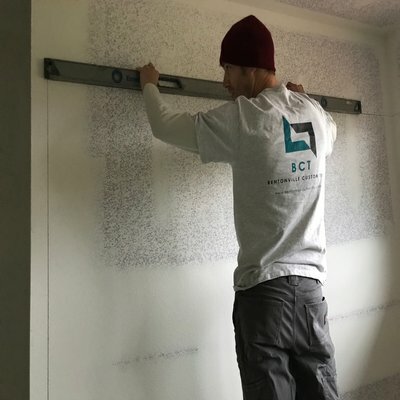 What Does Tile Installation Cost? You can calculate much of the installation cost by square footage. Ceramic tile installation averages around $5 a square foot to install. Porcelain tile generally comes in at a comparable $5-$6 per square foot. Natural stone tiles cost $7 per square foot on average for installation. Is It Necessary To Hire a Professional Tile Installer Or Can I do It Myself? If you are not experienced, it is best to use the services of a professional tile installer, especially on large areas like flooring and showers. 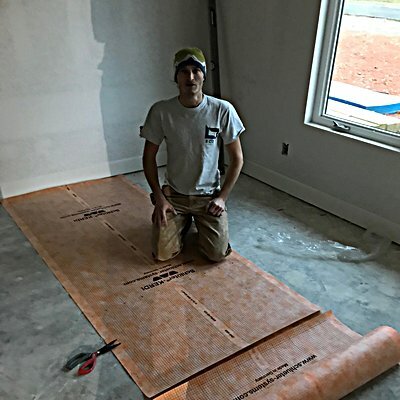 Remember, it is very important that your sub-floor, concrete floor or wallboard be appropriate if the installation is to last without cracking. If you are a skilled DIY person, and would like to learn how to lay tile, start with a table top or a small area. How Long Does It Take Before We Can Walk On The New Tile Flooring? It takes 24 hours for the mortar to cure. You can walk on your floor the next day. We are Ryan and Adam West, brothers who have over 36 years combined custom tile installation experience and co-founders of Bentonville Custom Tile. We were born and raised in Bentonville, Arkansas and have learned the art and skill of premier tile installation from the ground up. We are proud of where we are from and our reputation in the tile business. That reputation was earned, not given. We show up for the job ready to work and give it all we have. We know the importance of quality work and keeping our word. In a nutshell, we are professionals that deliver a high quality job day in and day out. We specialize in custom tile installation for floors, kitchens, bathrooms, showers, patio areas and swimming pools. We have been fortunate enough to work on some of the most exclusive tile projects in Northwest Arkansas. We are a local business and appreciate you giving us the opportunity to work with you. Call us for a quote, we will call you back. Of course, references are available.